Hey loves, welcome back. I promised to tell you how my day went yesterday and there is basically not much for me to tell, lol. I went out to eat with a friend and grabbed a few drinks at a rooftop bar/lounge in the city. While we were in the Hamptons, we stopped by the Wolffer Estate Vineyard. 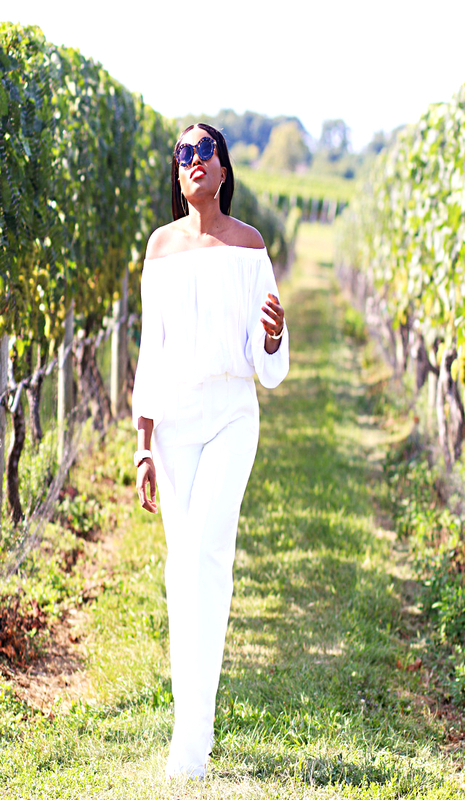 It was my first time at a vineyard. I absolutely loved it. The ambiance was awesome!!! When you come in, you go through this cute little store front where you place your oder. Once you place the order, you make your way to the back which is the actual vineyard. The yard decor is a tumblr/pinterest dream. I promise this picture is not doing it any justice. I knew I wanted to wear something dreamy to the vineyard. All white please!!!! I spoke of the flare pants and off the shoulder combo in a previous post. but when done in all white, it takes the look from a million bucks to a billi, lol. Seriously white makes everything look so expensive and glam. Gazing at the sun and nature while sipping on some wine was just ah ah ah!!!! I will definitely be going back to the Wolffer Estate Vineyard and I would definitely recommend it to you guys. I just hate the fact that it is so far from the city. Thx my luv. 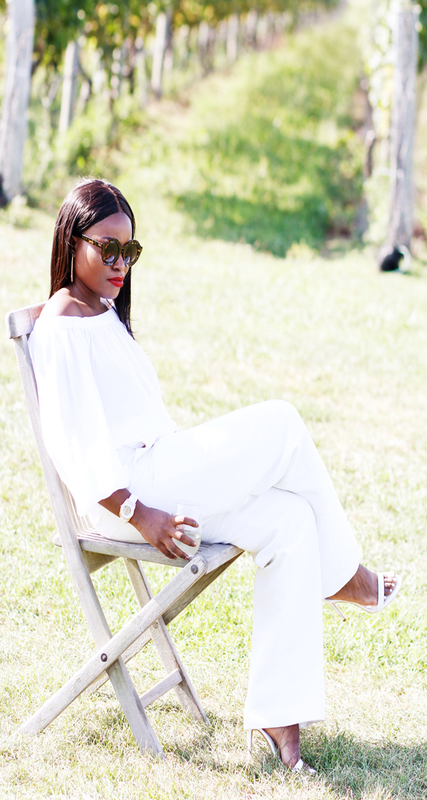 Yes can never go wrong with all white!